In this post we will be looking at how World War II progressed for Nancy. 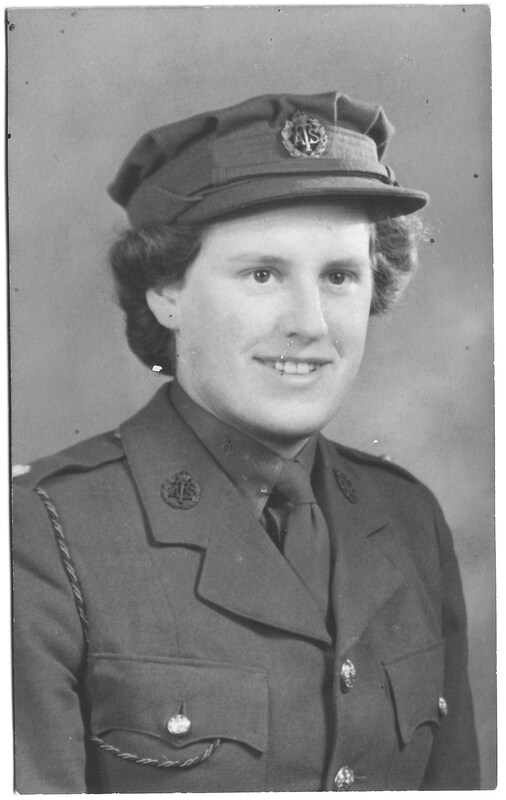 In February 1943 Nancy received her commission in the ATS. 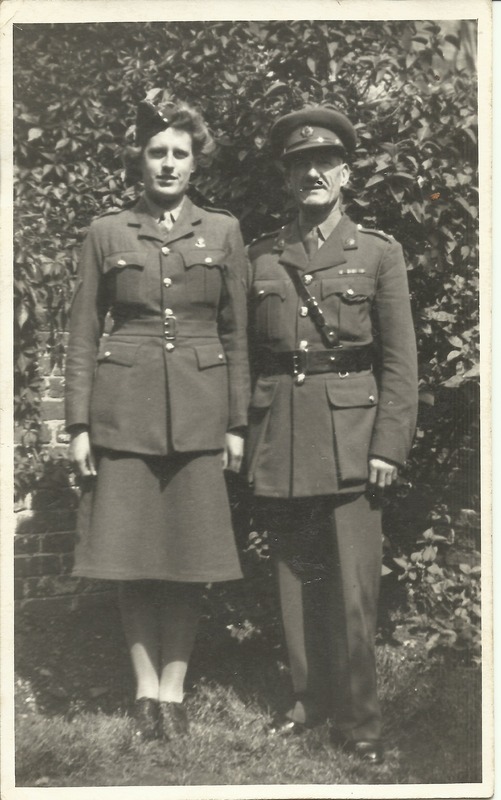 She became Second Subaltern Nancy Dinnis and her proud father was the first to send his congratulations. 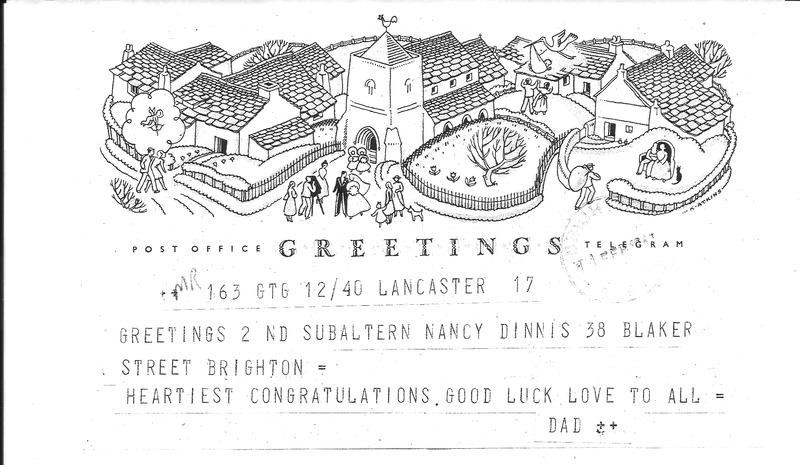 Greetings 2nd Subaltern Nancy Dinnis 38 Blaker Street Brighton. Heartiest congratulations. Good luck. Love to all. Dad. 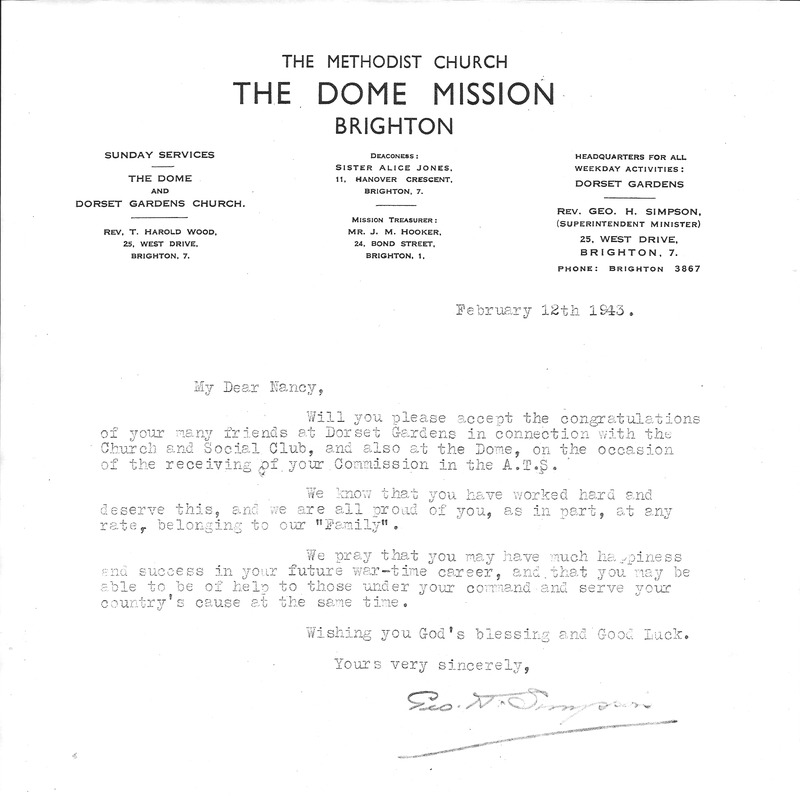 A few days later a letter arrived from Nancy’s home Church, Dorset Gardens Methodist Church, Brighton. My Dear Nancy, Will you please accept the congratulations of your many friends at Dorset Gardens in connection with the Church and Social Club, and also at the Dome, on the occasion of the receiving of your Commission in the A.T.S. We know that you have worked hard and deserve this, and we are all proud of you, as in part, at any rate, belonging to our “Family”. We pray that you may have much happiness and success in your future war-time career, and that you may be able to be of help to those under your command and serve your country’ s cause at the same time. 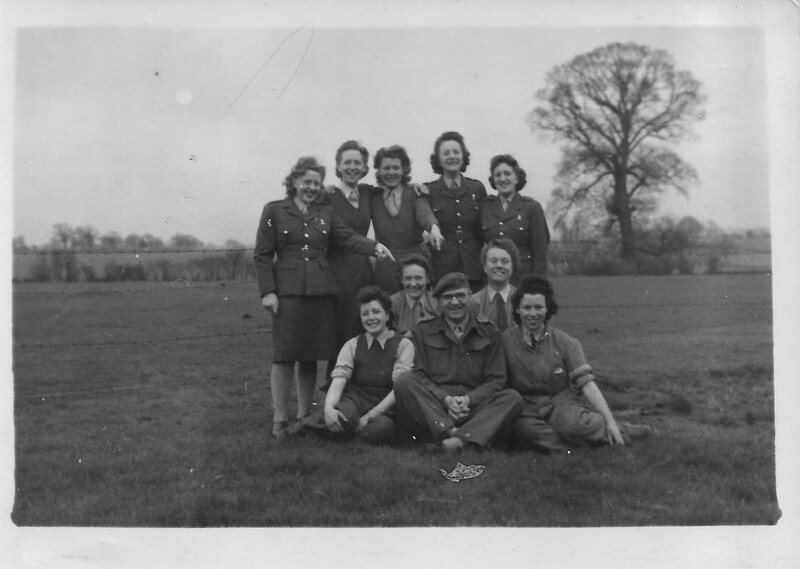 The photograph above is one of Nancy and The Gym Class in June 1945. 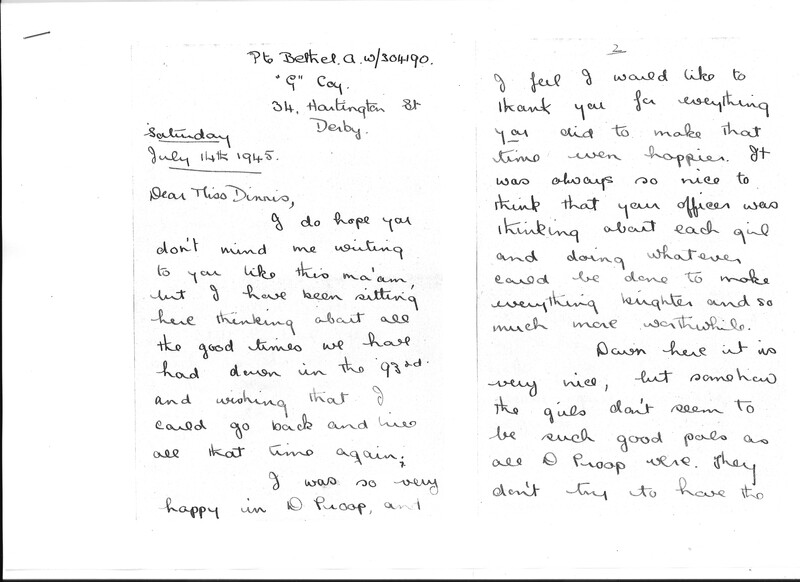 At this time she received a letter from one of the girls that had served under her. Such a lovely letter, and it’s so nice the way she refers to Nancy as “Ma’am”! I do hope you don’t mind me writing to you like this ma’am, but I have been sitting here thinking about all the good times we have had down in the ‘93rd and wishing that I could go back and live all that time again. I was so very happy in D Troop, and I feel I would like to thank you for everything you did to make that time even happier. It was always so nice to think that your officer was thinking about each girl and doing whatever could be done to make everything brighter and so much more worthwhile. Down here it is very nice, but somehow the girls don’t seem to be such good pals as all D Troop were. They don’t try to have the good times and make the best of things like we did. They just take everything as it comes, grumble about it, and leave it at that, which in my opinion is a waste of good time. I am working in the R.A.O.C. 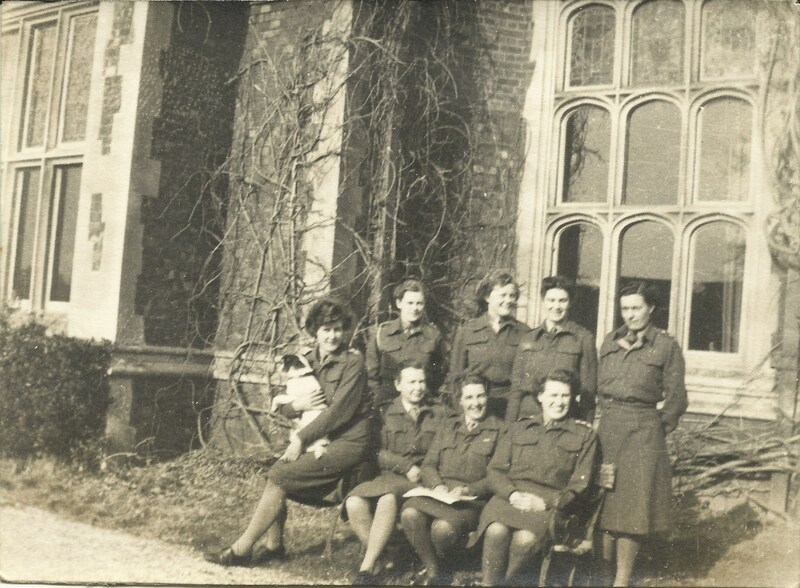 [Royal Army Ordnance Corps] Depot, in the Staff Central Office, which is the ‘A’ Branch of the depot. It is very interesting work, but being inside all the time is a great change, after being used to our Sports Day etc. I manage to get home each weekend, so that makes up for the routine during the week. How is everyone down there ma’am? I do hope they are all o.k. Are Sub Clayton and Sgt Hetherington still with you? If they are please give them my regards, and how I wish I was back. Ruth Searle, doesn’t seem to like her job any better up at Preston, but we are hoping she will get a posting here to Derby, then, when we can continue our nights out like we used to, everything will be much better. Anyway ma’am, I will close for now, duty calls. Thank you again for everything you did for all of us, maybe some time in the future I will be able to thank you personally, Yours Sincerely Anne Bethel. 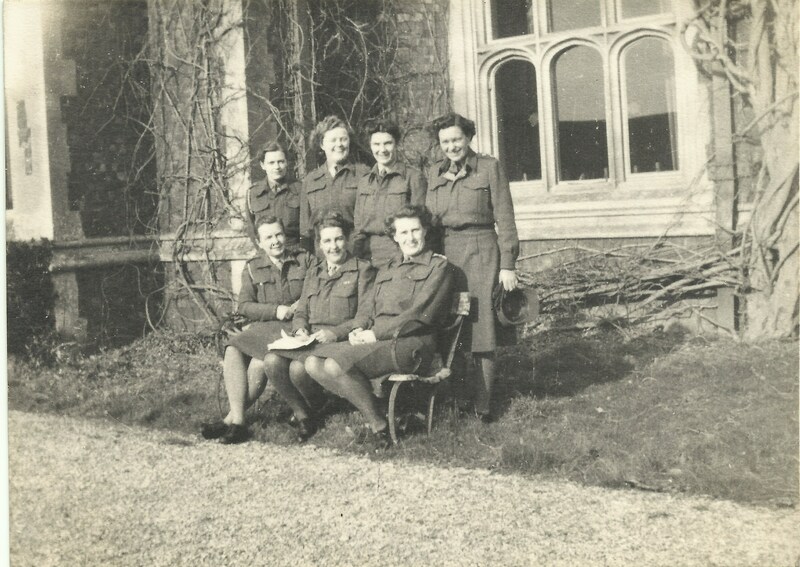 In the following year, 1946, there was a dinner held in her honour at Aldermaston. Here is the invitation and Menu. 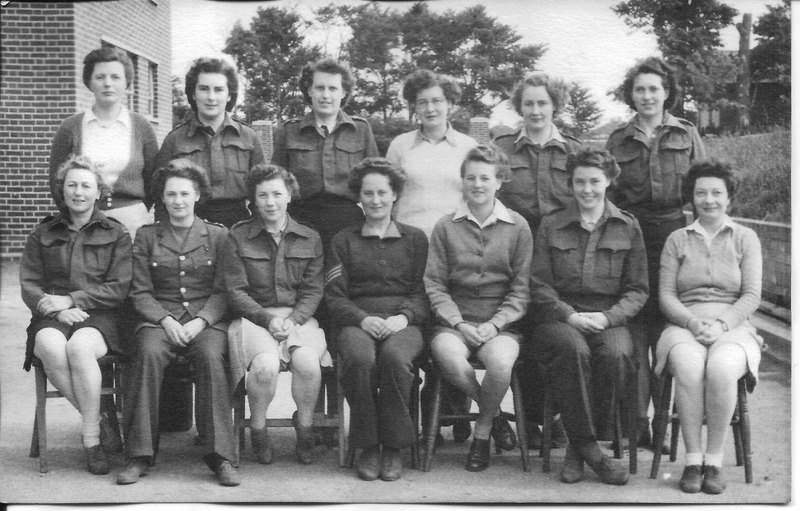 The Commandant, Officers, Warrant Officers and Sergeants, Clerks, Training Centre, Aldermaston. 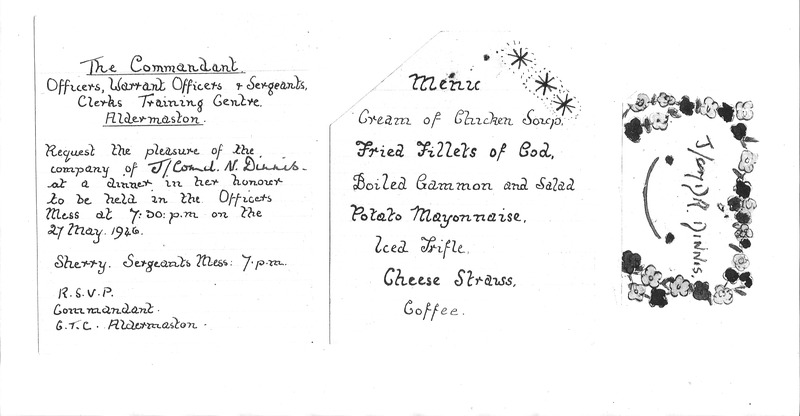 Request the pleasure of the company of Junior Commander N. Dinnis at a dinner in her honour to be held in the Officers Mess at 7.00pm on the 27 May 1946. The next post will look at what happened when Nancy left the ATS after the war ended. 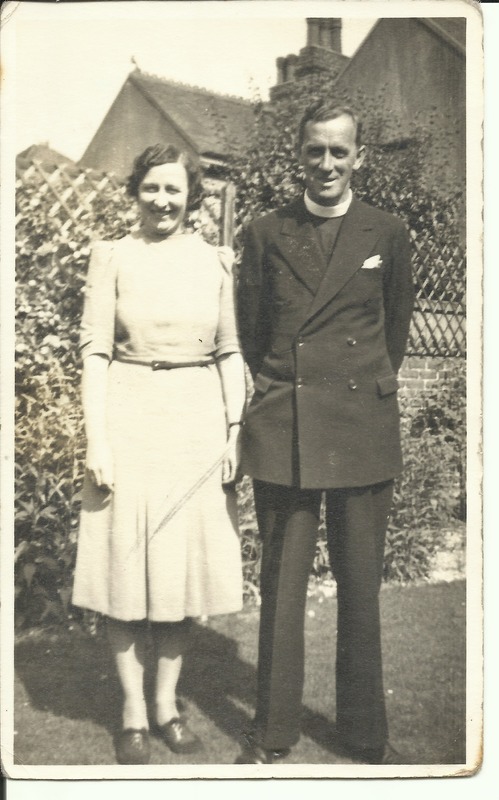 This entry was posted in Nancy Dora Dinnis, World War 2 and tagged Aldermaston, ATS, Auxiliary Territorial Service, Dorset Gardens Methodist Church, Geo H. Simpson vicar, Searchlight Regiment. Bookmark the permalink. A lovely post about Nancy, Jackie. You are so lucky to have access to the great photos and letters. You are doing wonderful job for all of us, but for your own family in particular you are providing a priceless resource on their history. It’s a good way to keep in touch with your family too, I’m thinking I should try it with mine! It so is a great way to keep in touch! I’m sure I would have always been best friends with my cousin, Sue, but having our family history in common has really helped ‘glue’ us together! And finding so many new second/third cousins is just so exciting for me, when I thought I had virtually no extended family at all. I’m thinking of doing one of those really old fashioned things – a family newsletter! A proper printed one, not a ‘virtual’ one! That would be really nice thing to do!